Situated in the mountains, this residence is 0.1 mi (0.1 km) from Font-Romeu Ski Resort and 0.6 mi (1 km) from Bolquere-Pyrenees 2000 Ski Resort. Golf de Font-Romeu is 1.4 mi (2.3 km) away. Font Romeu Odeillo Via Station is 22 minutes by foot and Font Romeu-Odeillo-Via Station is 22 minutes. 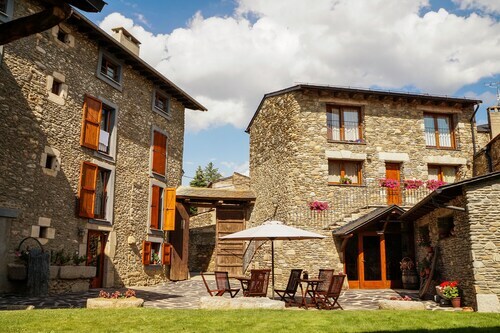 Situated in Puigcerda, this cottage is 1.7 mi (2.7 km) from Santa Maria Plaza and within 9 mi (15 km) of Llívia Municipal Museum and Dorres Roman Baths. La Masella Ski Resort and Bolquere-Pyrenees 2000 Ski Resort are also within 12 mi (20 km). Bourg-Madame Station is 26 minutes by foot. Situated in Puigcerda, this luxury hotel is 0.2 mi (0.3 km) from Santa Maria Plaza and within 6 mi (10 km) of Llívia Municipal Museum and Dorres Roman Baths. La Masella Ski Resort and Font-Romeu Ski Resort are also within 12 mi (20 km). 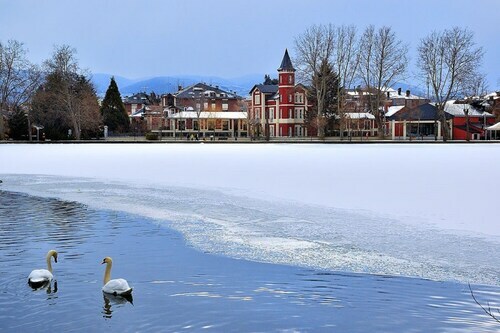 Puigcerdà Station is 11 minutes by foot and Bourg-Madame Station is 27 minutes. Situated in La Cabanasse, this spa hotel is 0.2 mi (0.3 km) from Mont-Louis Solar Furnace and 3 mi (4.8 km) from Bolquere-Pyrenees 2000 Ski Resort. Mont-Louis Citadel is 0.2 mi (0.4 km) away. La Cabanasse Station is 13 minutes by foot. Places to stay in Olette itself are a bit limited. Fortunately, Wotif lists plenty of options in the wider area. You'll find about 36 choices within 30 kilometres of the city centre. We suggest the Sercotel Hotel & Spa La Collada and the Château de Riell. They are some fantastic options, especially if you're okay with staying outside of the main centre. A few other places are the Résidence Lagrange Vacances L'Orée Des Cimes and the Hôtel Carlit. For more options, checkout the Hotel La Coma and the Calitxó. They are located 25 kilometres and 30 kilometres respectively from the center. Wotif also suggests the Catalogne and the Hotel Le Grand Tetras. The first is 20 kilometres away from the center, while the second is 19 kilometres away. The close by cities of La Llagonne and Mont-Louis are worth exploring. La Llagonne is 14 kilometres to the southwest of Olette, while Mont-Louis is 14 kilometres to the southwest. Hotels and apartments in La Llagonne are the La Pradella and Vacancéole - Appart Vacances Pyrénées 2000. Mont-Louis options include the Le Clos Cerdan and Hotel L'Ancienne Auberge. If sport is your passion, go to Aime Giral Stadium. It's located to the east of Olette. Want to stay close by? The La Villa Duflot and the Best Western Plus Hotel Windsor could both be perfect. Located 55 kilometres away from Olette is Perpignan - Rivesaltes International Airport. Stay nearby at the Novotel Perpignan or the Appart-Hotel de la République. How Much is a Hotel Room in Olette? Hotels in Olette start at AU$110 per night. Prices and availability subject to change. Additional terms may apply. We booked a family room and expected a room with 4 single beds. We got a 2 storey apartment with 2 bedrooms, 2 bathrooms, 2 lounges and a dining table. Master bedroom with a king size bed. The beds had memory foam mattresses and were super comfortable. We had a great dinner at a very reasonable price in the hotel restaurant.